Are you looking for an attorney in the Greensboro, NC area? The professionals at Farrior & Associates, Attorneys at Law, have been protecting the rights of those in the Greensboro, NC area since 1991. Whether you need a personal injury attorney, a workers' comp attorney or even a real estate attorney, you're sure to find the representation you need with Farrior & Associates. At Farrior & Associates, we offer legal representation in a wide variety of different circumstances. From personal injury and workers' compensation to real estate financing, we are your reliable legal source. If you are in need of a legal consultation, don't wait one more day to speak to a lawyer. Call Farrior & Associates today! With 19 years of experience, our attorneys will represent you with confidence and competence in a variety of practice areas. J. Rufus Farrior, the firm's principal attorney, has been practicing law since 1983. Our goal is to make our clients feel welcome by our friendly demeanor. We encourage our clients to feel comfortable asking and answering questions. If you have any questions about the legal services we offer, feel free to contact the professionals at Farrior & Associates today! You can give us a call, 336-373-0882, or use the contact form on this tab. Farrior and Associates, Attorneys At Law, offers legal representation for a variety of situations. As trusted personal injury lawyers, our attorneys are able to represent you in all cases from an accident to a workers' compensation case. 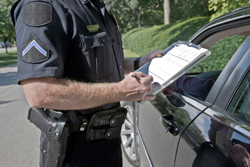 We also advocate for you when charged with traffic violations, including tickets and DWI infractions. We also offer Real Estate attorney services. Call today for a consultation.